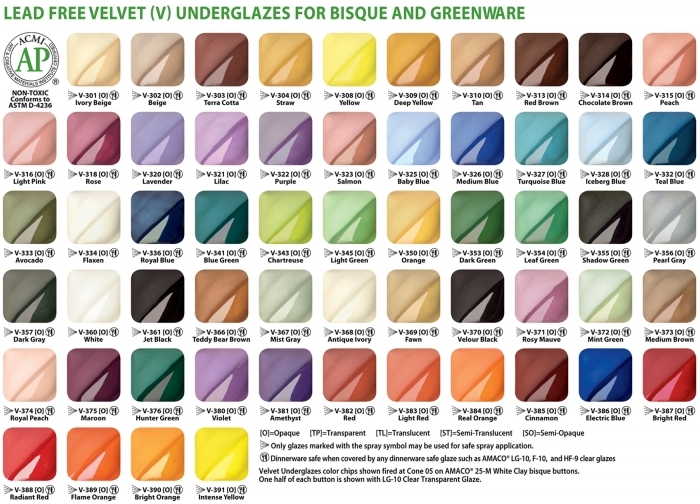 Velvet Underglazes are all non-toxic and lead free! They have a semi-translucent finish when left unglazed. Adding a clear coat will intensify the colors. Most colors come in 2 sizes: 2oz jars and 12oz pints.